The “#toocoolforplastics” campaign, which say UK supermarket chain Iceland reposition itself as an environmental champion has won the Global Platinum SABRE Award . WASHINGTON, DC—The “#toocoolforplastics” campaign, which say UK supermarket chain Iceland reposition itself as an environmental champion and a leader among corporations rejecting plastic packaging, has won the Global Platinum SABRE Award for the best public relations campaign of the past year. The Global SABRE Awards—recognizing the 40 best campaigns from among more than 5,000 entries in our SABRE competition around the world—were presented at the gala dinner that concluded The Holmes Report’s PRovoke18 Global Public Relations Summit at the Watergate Hotel in Washington, DC. The 40 campaigns were revealed in a countdown from number 40 to number one. 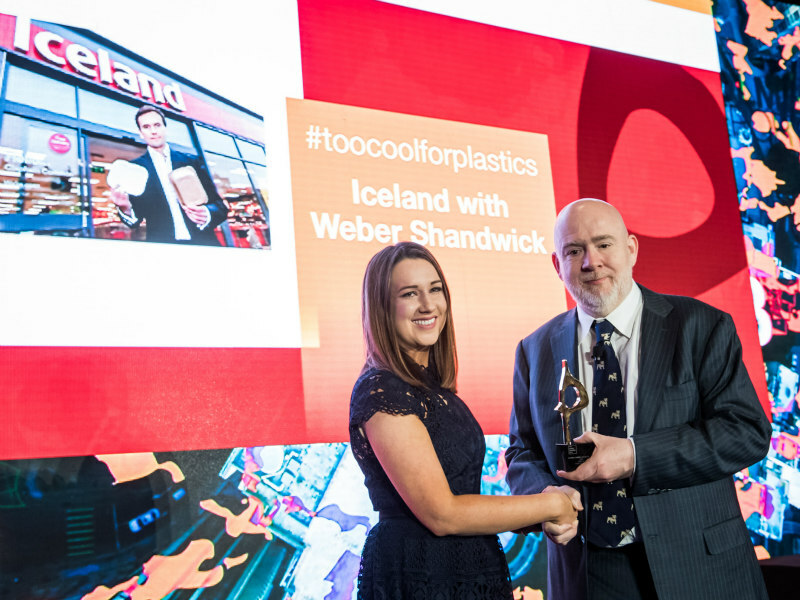 The “#toocoolforplastics” campaign, entered by Weber Shandwick, had earlier in the year taken home the Platinum SABRE at our EMEA awards dinner in Amsterdam. It was selected as the winner ahead of “Aflac ‘Outducks’ a Reputational Deficit,” a corporate reputation initiative conducted for Aflac by a team of agencies that included FleishmanHillard, Ken Willis Inc., Carol Cone On Purpose and Marina Maher Communications. A complete list of the 40 Global SABRE winning campaigns, in order, can be found here.